Besides sneaking in a few licks while making sandwichess for the kid, or finding an excuse to photograph a spoonful, there are many creative ways to enjoy this decadent spread. NU-TE-LLA, the ring in the name itself is an inspiration. 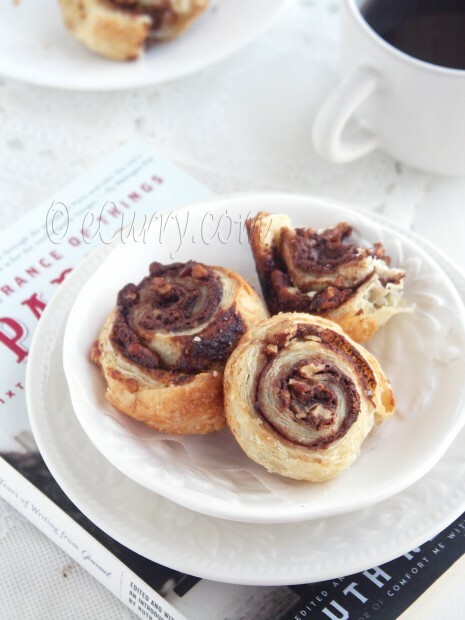 These little swirls were made to indulge. Not just in the afternoon, but for the entire day long, we had to give in and took bites off these snacks. Fortunately and intentionally, I did not make too many. I must admit that these are not exactly very creative, but ridiculously easy to make; you may call it a “cheater recipe” . The pastry puff is store bought. Lay the sheets down on the board, get yourself a jar of the decadent spread, sprinkle some nuts, and you are on your way to these highly addictive treats. 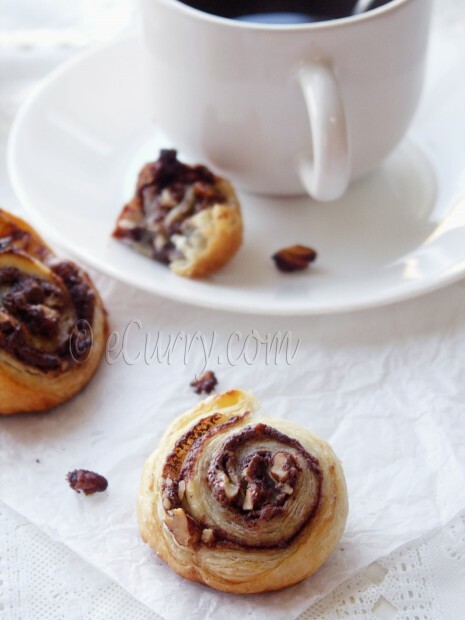 The swirls are perfect tea time treats. I have used some orange blossom water because I am obsessed with the flavor with orange. Besides, dark chocolate and orange make an beautiful and irresistible combination. May I have the pleasure of your company? 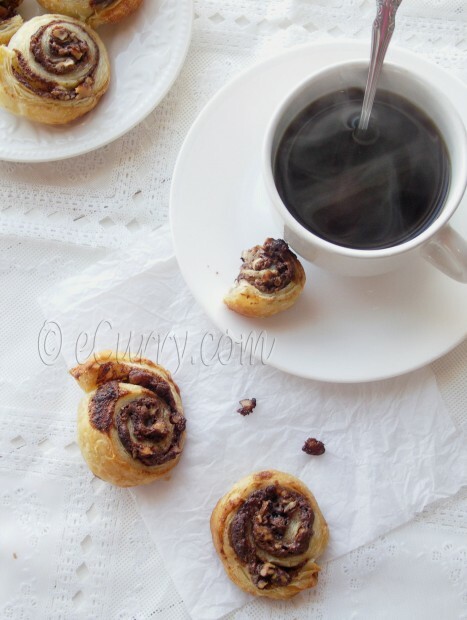 Please join me for some coffee and Nutty Nutella Swirls. Quick thaw the pastry puff sheets if they have been frozen, for about 30-40 minutes at room temperature. The sheets should be slightly stiff, but soft and pliable enough to fold/bend without breaking them. If needed, work with one sheet at a time, while the others are being covered with a foil or plastic wrap and refrigerated. Do not allow the sheets to get too soft, or it will be difficult to work with them. If they do get too soft, chill them in the refrigerator for a few minutes. Place the Nutella in a heat proof bowl and heat in the microwave for about 15 seconds. Add the orange extract/orange blossom water and whisk it until smooth and silky. Take one pastry sheet, and spread one third of the Nutella on one sheet, leaving a little bit of space on the edges, so the Nutella does not ooze out when rolled and baked. Sprinkle one third of the toasted nuts, evenly on the Nutella. Hold the two ends of the shorter side of the strip and tightly roll the strip till the other end. Seal the end/edges with wet finger; press it down well so it does not come apart while baking. Brush the pastry roll with melted butter. 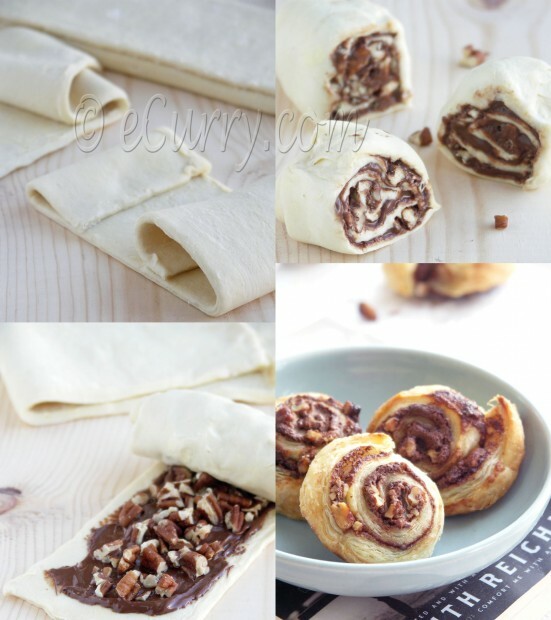 With a very sharp knife, slice each roll horizontally into 3- 4 swirls. Repeat the above with the other 2 pastry sheets. Roll all the swirls in sugar and bake them in a 375 degree F preheated oven for 12 – 15 minutes, or until golden. Keep in mind that dark baking trays will bake the pastry faster. So keep an eye on them while they are baking. Remove from the oven, cool for about 10 minutes and serve with tea/coffee or as dessert bites. These look fantastically delicious and so eays to make. I’m afraid Ill be spending a little more than 10 minutes snacking on these as they just seem too irresistible. OMG!! !What a splendid idea;)Looks so scrumptious.I’m joining you…. Looks simply delicious! Thanks for posting! I think there is any better combination than Nutella and bread…it is the perfect mix of sweet and savory. Now this is the perfect weekend breakfast, when you want to indulge a little and start your day off right with some Nutella! just lovely Soma. I am a fan of orange blossom water. it’s so refreshing. this combo rocks! I agree like you I couldn’t make too many as I’d eat them all in one sitting. As I already told you, I think they look lovely and so so delicious. 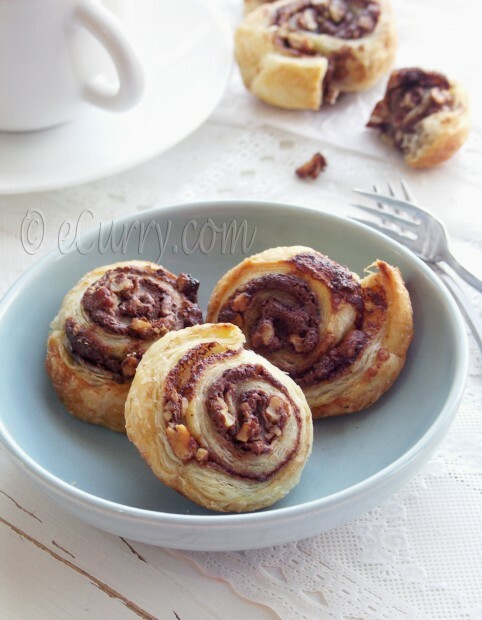 Hi There, The nutty nutella swirls are looking absolutely delightful. Very nicely made and presented. Its always fun to see ur appetizing recipes. I wud love to give ur version a try on the coming weekend. Have a great day ! What a perfect treat, they look so scrumptious! Such a tempting and mouthwatering treat! wonderful! I do a saturday baking/cooking club on saturday mornings with my and some other kids just for fun. I would love to go for these swirls on one morning. Only thing is in India we don’t get pastry shells. Can you suggest a easy for kid recipe link for pastry shells to go with? I’ve never been a huge fan of nuttla, but these look SO good!! Especially the orange blossom water. Yum! O they sure look lovely! It’s been a while since I last bought my last jar of nutella but you’ve tempted me to go out and get some, so I can make these delicious swirls! oh yum! how can anything with nutella be bad? I also love to make nutella croissants. I grew up in an italian household which always had nutella in the cupboard. 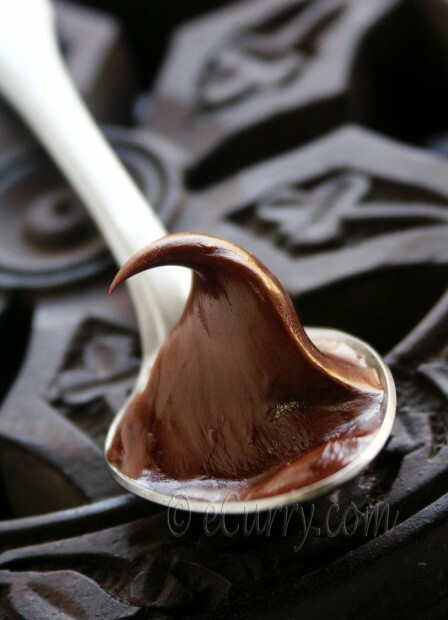 Therefore, I want to try any recipe that includes Nutella which will include this one. I can eat Nutella straight out of the jar. This is a GREAT idea…Nutella and carbs…this is the perfect marriage, hehe. You’re making me starving!!! Love this idea! I’ve made Nutella Swirl cookies, but this is turned way up! 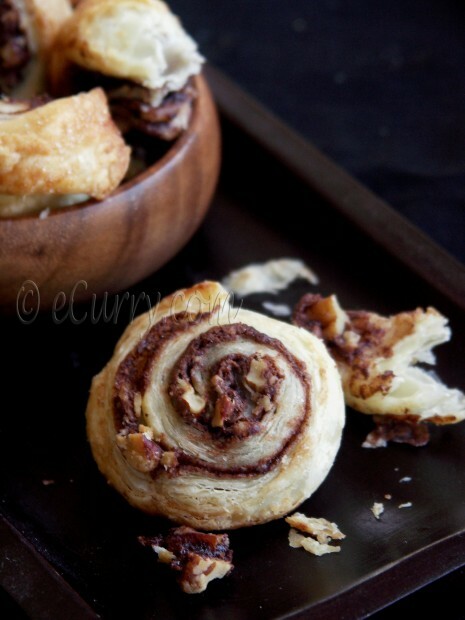 Made your Nutella swirls today from memory; they tasted good but did not look remotely as nice as yours!! On re-reading your blog, I realised where I needed to focus next time. I used fresh orange zest and they worked really well. Thanks a ton to you and your lovely blog, feels like I now have a Guru’s encyclopedia!! Der generelle Vorteil liegt bei den ausdauernden Sportarten darin, dass keine sogenannten „Belastungsspitzen mit extremen hohen Blutdruckwerten entstehen.